vi. To perform any other related duties as may be assigned by his/her supervisor. i. To provide technical information concerning aircrafts parking to airline operators and Air Traffic Controllers. v.Make sure VIP aircraft are parked in the required manner. Form Four or Form six certificates with passes in English and any other two subjects and Certificate in Apron Management. vii. To perform any other duties assigned by relevant authorities. •PhD and Master’s Degree in Electrical Engineering or Biomedical Engineering or Electrical and Automation Engineering or Electronics and its equivalent from recognized institutions. •Certificate in teaching or teaching experience or Biomedical Experience would be an added advantage. •A GPA of at least 4.0 out of 5 in Master’s Degree and a minimum GPA of 3.8 out of 5 in Bachelor Degree or its equivalent. ix. To perform any other related duties as may be assigned by his/her supervisor. A holder of Bachelor Degree of Arts in Theatre and Film, Fine and Performing Arts (specialized in film production) or any other relevant field. Kuendesha mitambo chini ya usimamizi wa Dereva Mitambo mwenye uzoefu. Kuajiriwa wenye cheti cha kidato cha IV ambao wana leseni Daraja la ‘’G’’ ya kuendesha mitambo na ujuzi wa kutunza vyombo mbalimbali vya mitambo hiyo, wenye uzoefu wa kuendesha mitambo kwa muda usiopungua miezi mitatu (3) bila kusababisha ajali. 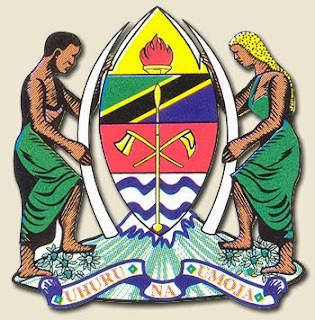 ix.Kuelimisha Umma kuhusu mambo ya Katiba na Haki za Binadamu. i.Supervises setting and moderate of items for the respective subject. iii.Typesetting of examinations paper and marking schemes for respective subject. v.Writes various reports related to examinations. vi.Conduct analysis of various reports on National Examinations and makes recommendations on appropriate actions. vii.Responsible for maximum confidentiality and security of examinations. viii.Performs any other duties as assigned by his/her supervisor. Bachelor Degree in Education or equivalent qualifications from a recognized Institution, majoring in Islamic Knowledge with good writing and analytical skills; must be computer literate. Master’s Degree in Marketing or Business Administration, from recognized higher learning Institution with a minimum GPA of 4.0 points. The applicant should also be a holder of Bachelors Degree in Marketing, or Business Administration majoring in Marketing from recognized Higher Learning Institution with a GPA of at least 3.8 points.